At one point in my life I came to the conclusion that those who attempt to control others do so either because of an inability to, or fear of, not being able to control themselves. I believe it is the same mindset that causes people to jump at every opportunity to criticize public figures. 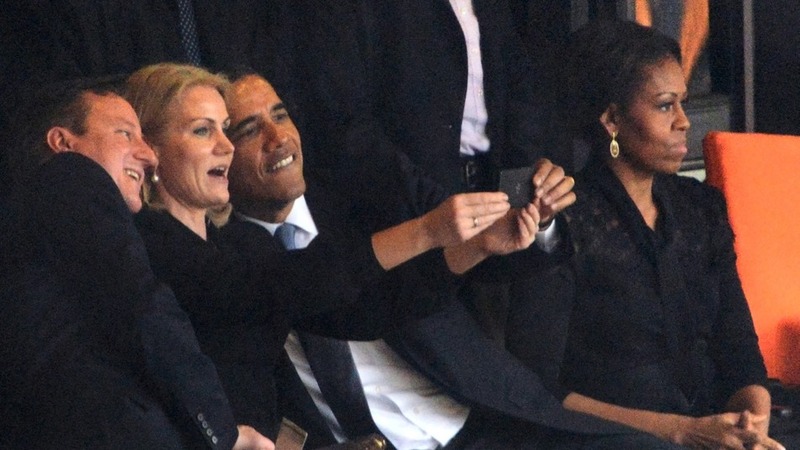 With that in mind, following all the recent fuss being made about the President’s selfie with the English and Danish Heads of State, I decided to put my two cents in and give my take on how we should really look at this from a broader perspective. Although I have no trouble recognizing that the image of President Obama and the other two leaders posing like a bunch of high school kids does not look great, I choose to reserve judgment on the matter. Without knowledge of what took place prior to the picture there is no way of really knowing if anyone, and if so who, was at fault for this major world incident. I mean, it’s not like there are other things of more importance happening in the world. And since we really don’t know what conversation took place prior to the photographic shot heard around the world, calling it inappropriate on the part of any one of the three leaders is something I’m not prepared to do. Not to mention the lose lose scenario here. After all, we all know that if the situation was that one of the other two suggested the photo op, and the president had declined, the website “Everything’s the Liberal’s fault” (not an actual website but it just as well could be) would probably have a headline along the lines of “Arrogant Obama too good to photograph with other leaders”. With that said, the worst part about this is that it’s become such a major news story. The same thing that makes it one is the same thing that makes the whole situation so sad. And that is the importance the image has been given. Let’s be honest though. A large percentage of people are no longer looking for their leaders to be as perfect as possible. Instead they are looking for their leaders to be as perfectly aligned with our way of thinking as possible, regardless of their character or behavior. So much so that if they are not, they will find fault in almost everything they do and if they are, they will almost always find a way to justify it. After all, isn’t that easier than addressing our own character flaws and trying to become better people? This entry was posted on Friday, December 13th, 2013 at 11:22 am	and posted in Uncategorized. You can follow any responses to this entry through the RSS 2.0 feed. « Where Was The Greatness? Nice post. I was checking constantly thjs blog annd I’m impressed! for a long time. Thank you annd best of luck.